Today we are going to take a look on Facebook stock. We are going to look at three things. Facebook stocks have been doing good this year, in comparison to the general stock market is facing challenges during the year. Facebook stocks remained steadily in a bullish trend. How ever if you look at the table. You will see that FB stocks are currently moving in range of 123 usd and 126 usd. Which is a pretty small price range movement. And with this movement it indicates that we are in a sideway trend. How is Facbook doing in term of business? Facebook mission is to give people the power to share and make the world more open and connected. So far Facebook has been doing really well to executing that mission. If you take a look at the table then you will that they are succeeding in getting new people to use their social network platform and getting more people to stay engage and being active on their platform. For example in June their daily active users rose to 1.13 billion active users. That is pretty impressive. If you compare that to the competition like twitter, who are struggling on getting more daily active users. For Facebook business it’s that the more active users they have , the more advertisers are willing to spend. The more profit can be made which leads into a increasing value of the Facebook stock. And Facebook is trying to get more users all over the globe and building his presence in the 3th world countries. So that as soon as people have internet they can open a Facebook account. And they are doing that by offering free internet in those countries. Recently a rocket exploded at SpaceX. That rocket was supposed to launch a new satellite for Facebook. That satellite was suppose to give internet to area’s where it is difficult to get internet. With this rocket explosion it will probably cause a delay in the plans of Mark Zuckerberg to get new users for his platforms. Back the business side. Fb is has increased his revenue in the 2nd quarter with 68%. And if you continue to look at the table then you will see that in overall they increase their revenue and profit. Currently Facbook is still in the sideway trend but is slowly moving into a bullish trend. 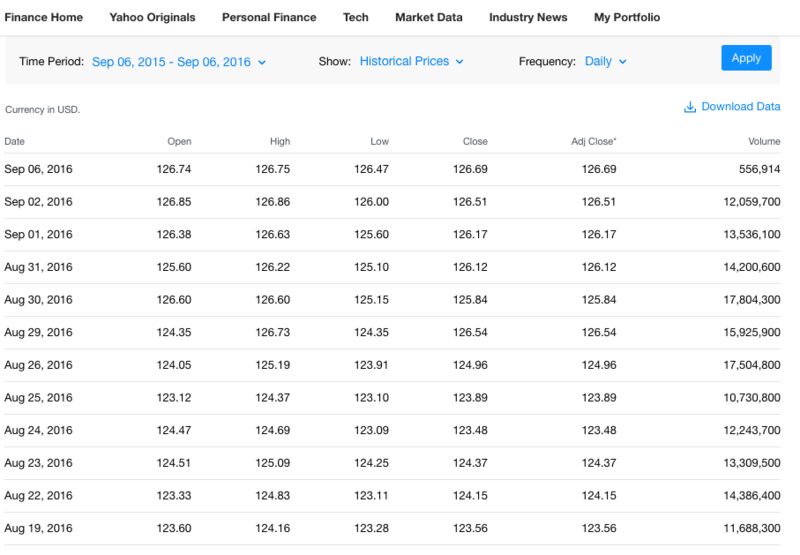 Facebook was moving in the price range of of 123 USD and 126 USD. But recently is has breakthrough the resistance level of 126 USD. But it doesn’t to be a strong push. So let see if Facebook is going towards the close of above 127 USD. Before we can confirm that it is in a bullish trend. So for right now I am staying on sideline for a bit or i might buy few CFD’s on Facebook shares. Because those Facebook CFD’s shares gives me a higher profit then with the normal Facebook stocks. For more info trading Facebook CFD’s share click here: Plus500 stocks CFDs. And if you want to know more about Plus500 then check our brokers review. Risk disclaimer: Your capital is at risk, please take this into account when trading. Plus500 Review: Is Plus500 a good broker? Or is it a scam? Online Trading has been very popular now a days, seeing advertisements over social websites by online brokers flashing how to make money and friends at the office talking about their experiences of making $500.00 in just one trade over the whole day. Being curious, I tried reading a lot about trading, and then got interested, eventually. I have asked people online, based on reviews and experiences, about the factors to consider before opening an trading account. And one important factor they keep on mentioning, especially at most Plus500 Review is “The Best Online Broker and Trading Platform”. Being a very diligent person and conducts research about things, I compared online brokers and their platforms. Where in this Plus500 Review I found Plus500 and my experience of it, which offers one of the BEST CFD Trading Platform there is. 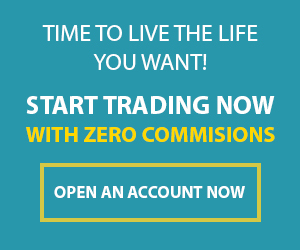 Trading CFD’s for Stocks, Forex, Bitcoins, and many more. But what makes me open an account with Plus500, is it’s authorised and regulated by the Financial Conduct Authority, which makes me feel at ease. Before, I try to imagine what it is like to trade, and the risk taker in me opened an account and then trade Oil Futures, Trading the Pound vs the Dollar, and many more at the comfort of my home. If you want to know more about How to Open a Trading Account with Plus 500 then click here: Opening Trading Account Plus 500. As I was looking for my broker then, I’ve been trying demo accounts and learning how to make money from it, and I don’t want my wife to scold me for losing money. In this Plus500 Review, we discover Plus500 special features, to my surprise Plus500 doesn’t charge any commisions and they have a very low spread. And there I realized that Plus500 has one of the Lowest Spread in the industry by comparing it with other service and platform providers. So I think that is a pretty good deal. Having valued much of my savings and pay check, I see to it that I get the best value there is for my hard earned cash. I was also amazed on how low you can open an account with Plus500, where they don’t require big deposit, which favors me since I don’t want to lose most of my money in a single trade. By the way in this Plus500 Review the simplicity of financial transaction will be discussed. Trading with practice money was fun, but going in with real money really gave me a kick and thought me the most. I was able to use small cash to earn big profits. By the way, I am a very defensive investor. So, with Competitive Rates and Low Spread I get my profits at a high which is good for me, low cash investment for trade with a potential for higher returns. As I was operating my platform, one important key that I really like about Plus500 is the simplicity of the trading platform. Here in Plus500 Review, the design is classic and it is easy to navigate. For me, the real deal here is the accessibility of the Stop Loss, Trailing Stop orders, Buy and Sell Limit Orders. It is important to me that it is easy to locate, especially when the market becomes volatile and I want to exit my trading position. Overall, it is very good to use, and I can seamlessly execute my trading plan plotting my risk management levels quickly. As mentioned earlier in this Plus500 Review, what makes me open an account with Plus500, is it is authorised and regulated by the Financial Conduct Authority. It is important to me that it is regulated that this is not one of the practices where client’s money are being scammed. Plus500 UK Ltd is authorised and regulated by the Financial Conduct Authority (FRN 509909). Plus500 CY LTD is authorised and regulated by the Cyprus Securities and Exchange Commission (License No. 250/14). Plus500AU Pty Ltd, AFSL #417727 issued by the Australian Securities and Investments Commission is authorized to issue these products to Australian residents. You do not own or have any right to the underlying assets. Please consider our Disclosure documents available on the Plus500 website. Funding your account is very easy and simple. You can fund your account by using Visa, iDeal, and MasterCard credit cards that makes it more accessible and fast. By navigating to Plus500 cashier screen and then fill out credit card details. After, one can expect to begin trading immediately. It’s that simple. In addition, funding through Moneybookers, which direct clients to go first to the Funds Management window of the trading platform, and then selecting Moneybookers Option. Further, enter Moneybookers e-mail address, and an information will appear where the Moneybooker transfer can be confirmed. Due to financial security, Plus500 adhere to banking transactions processed within three working days. Deposits through bank, are good and easy way to finance your trading account. In this Plus500 Review we experience that process on deposits through wire transfer takes up to three banking days before credited to a live account. Clients will receive an email first from Plus500.com about the details for wiring funds to their account, that includes the minimum and maximum deposit allowed. Withdrawals is also simple. Just go to your funds management and follow the instructions there. To test the withdrawal time. I withdrew my money from my Plus500 trading account to my Skrill account. As you can see in the screenshots below, it only took a few days. As an authorised and regulated institution by the reputable Financial Conduct Authority, Plus500 UK Ltd. requires that traders and clients to present an official photo ID before being allowed to make a withdrawal. Identification Cards must be current passport, driver’s license, or other official document that validates identity. In this Plus500 Review the only thing that I had to do was scanning my documents and mail it to them. You can do this via e-mail or by uploading PDF, JPEG or Doc files with the upload function provided on Plus500.com trading platform. As part of the Plus500’s due diligence, files are to be reviewed within 24 hours. The Plus500 Review helps Traders and Individuals aspiring to trade an insight in getting the Ideal Broker and Platform. If they focus on the technicalities, instruments, service, fees, and a lot more are also important to consider in choosing the broker and platform that best suits one’s condition. And there I realized that low cost spreads and no brokerage fees increases profitability. That is why I opened an account, and continuously patronizing Plus500 because of its great job. What about you? Is Plus500 something for you? Click here to open a demo account and try it out for free. https://www.101trading.co.uk/wp-content/uploads/2015/06/CFB-Plus500-Beginner-5.png 248 298 Cassy https://101trading.co.uk/wp-content/uploads/2015/07/logo101trading2.png Cassy2018-12-13 18:51:382019-03-20 19:32:45Plus500 Review: Is Plus500 a good broker? Start trading on reliable and simple platforms. * Plus500 is a CFD service. Reminder: Your capital is at risk, please take this into account when trading. * Markets.com is a CFD service. * Avatrade.com is a CFD service.